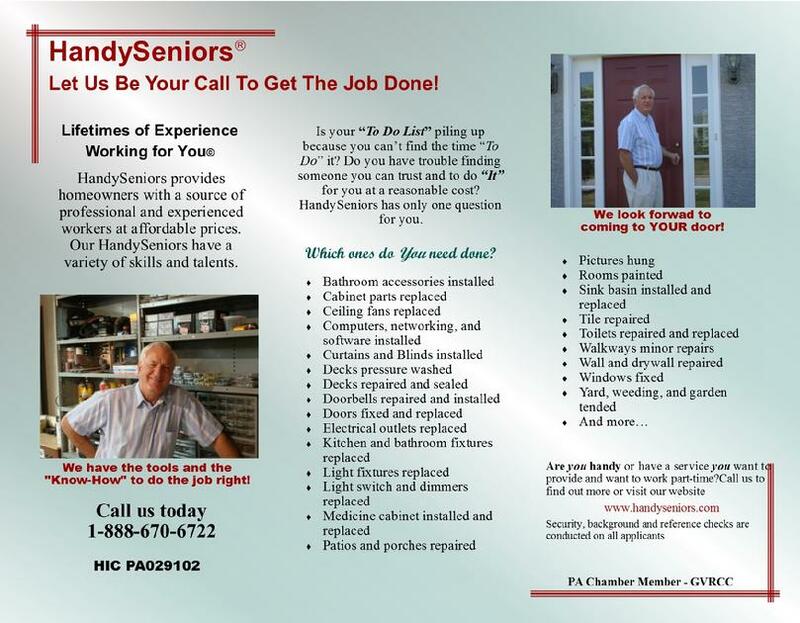 We frequently get requests from our customers, friends, and family for HandySeniors Brochures and Flyers to share with co-workers, neighbors, family and friends. 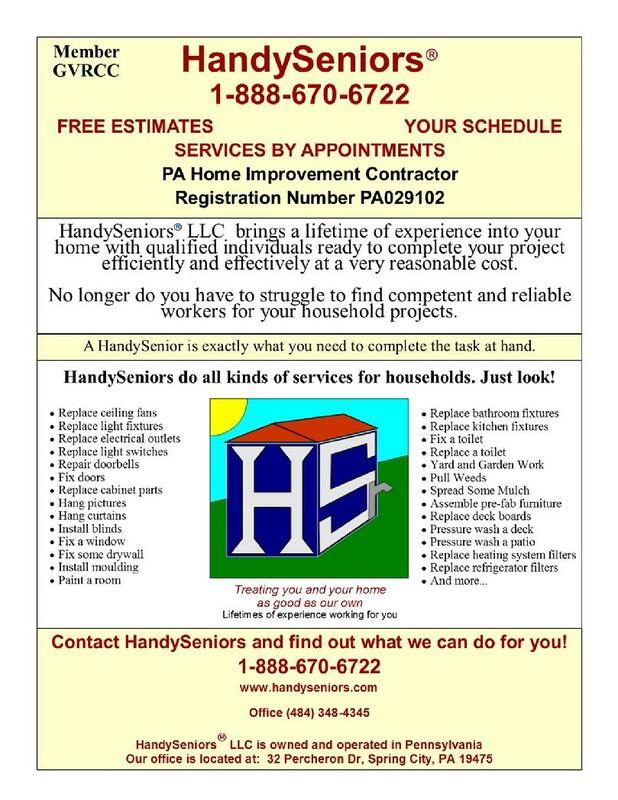 If you would like to share HandySeniors Brochures and Flyers, feel free to print out as many as you want and share them with whomever you please! 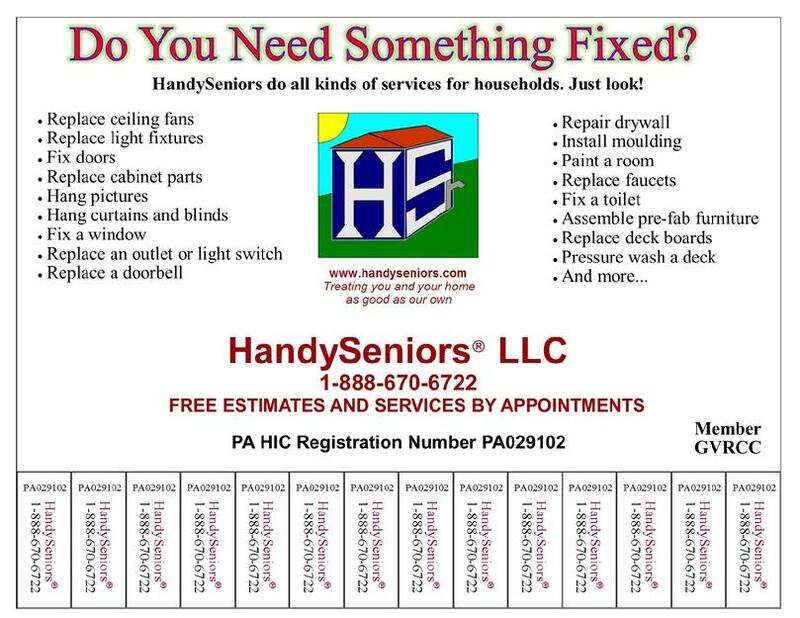 Just click on the Brochure or Flyer Name below the PDF Icon to launch a printable PDF version. Save it, print it, share it, or send it in an email! Note: Adobe Acrobat Reader or other PDF reader is required to open file.